Oliva Nova Equestrian Centre will host from Friday 18 October until Sunday 3 November the Autumn season of the Mediterranean Equestrian Tour. Oliva Nova Equestrian Centre will host from Friday 18 October until Sunday 3 November the Autumn season of the Mediterranean Equestrian Tour. 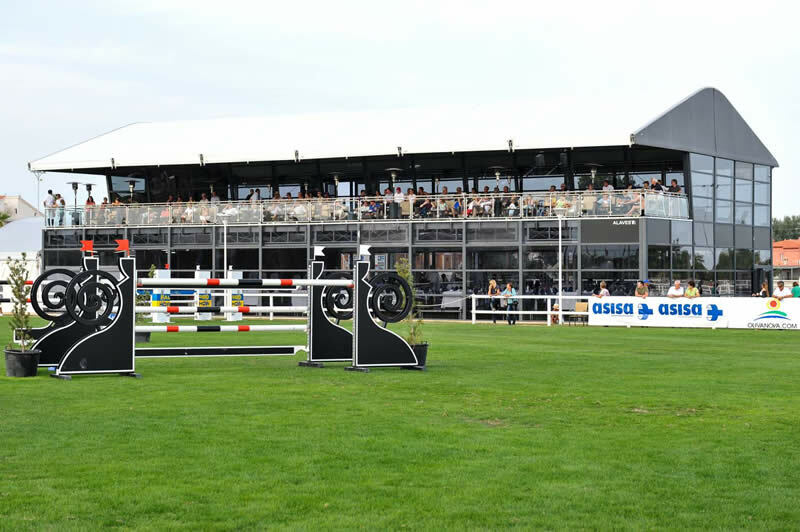 The second edition of this Autumn jumping competition in CSI2* and CSI YH categories has increased their participation by twice as much with 585 horses and 185 horsemen from 34 countries. Spanish horsemen like Fernando Fourcade, Juan Antonio Wit or Cayetano Martínez de Irujo and international horsemen like the olympic gold medalist in Atlanta, Ulrich Kirchhoff and more are the participants. This competition is the precursor of the Mediterranean Equestrian Tour 2014, which will be held from January to April in Oliva Nova. Also the MET Autumn celebration is expected to yield a significant return on investment economically and it is expected to bring more tourists to this area. In total, approximately 6.600 night stays have been registered during the competition days and a direct economic impact from the daily expenses of the participants around 1 and 5 million euros. As a new feature, the most important weekend events will be streamed on the websitewww.metsp.es.